Thanks to an invitation from Don Yang, Alex Zonis, Wes Douglas, and I recently spoke at the American Academy of Art in Chicago as part of their Visiting Artist Series. My section of the presentation dealt with the value and habit of keeping a sketchbook. I want to share my thoughts with you, too. I’ve been involved with art for my livelihood since graphic design was called commercial art and cut and paste was literally cut and paste. My first job right out of college was with a small ad agency in Hackensack, New Jersey and let me tell you, I rejoice, everyday, for the miracle of the digital age. 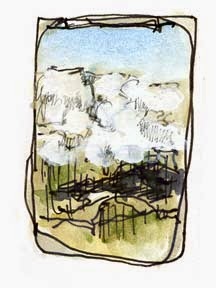 Every Visual Creative Should Keep a Sketchbook! There are as many different kinds of sketchbooks and as many reasons for keeping them, as there are sketchers but I’m only going to give you five. Drawing is a skill and must be developed. Great athletes, musicians, actors, and artists, we all need to practice to improve and hone our performance. Keep your sketchbook with you always. Do it! Ideas can be fleeting. How many times have you thought, “Wow, what a great idea. That will come in handy later,” and when later came the great idea was gone? Jot it down or scribble a quick sketch! What kind of ideas? 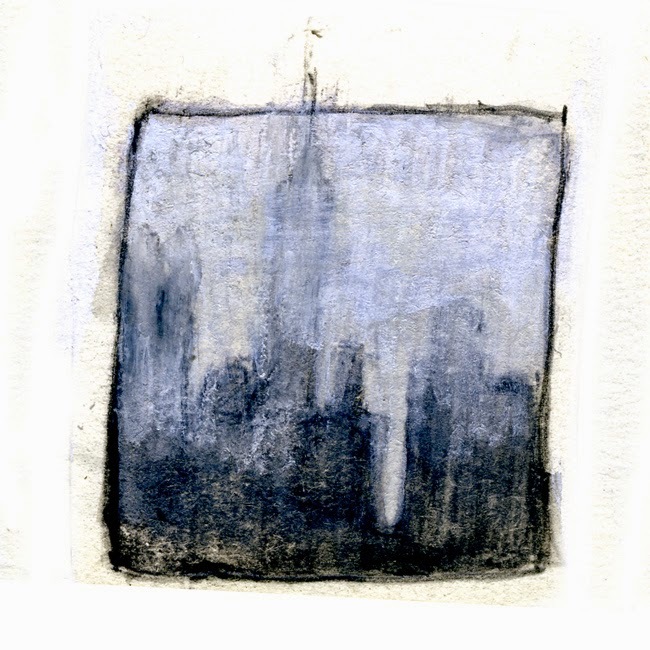 A scribbled gesture, an eavesdropped conversation, a fleeting image or thought, a color scheme – anything! Leonardo Da Vinci only made a few paintings but we all know him and revere him because of the ideas he recorded in his sketchbooks. Try out and practice with new media or tools, compositions, play with new styles– again, ANYTHING! period of time, whether it’s months or years. This reason may be my own little reason but I share it with you. Waiting used to be a time of aggravation and annoyance for me. Now, I think, “Oh good I can sketch.” I also have more sketches done in hospital emergency rooms than I care to think about but they kept me calm and sane. And sometimes when I’m “in the zone” it’s like meditation. 1. Love your sketchbook (but not too much.) I’ve had beautiful books given to me, and some I’ve bought myself and saved them for something special because they’re “too good” – that’s very inhibiting. It’s one more excuse not to start. Get a sketchbook you like but won’t be upset if you spill your coffee on it or the cover gets scratch etc. Get one that you will actually use. 2. Carry it with you always (I know I’m repeating myself. It’s that important.) and use it! I use several sketchbooks at one time, all different sizes. 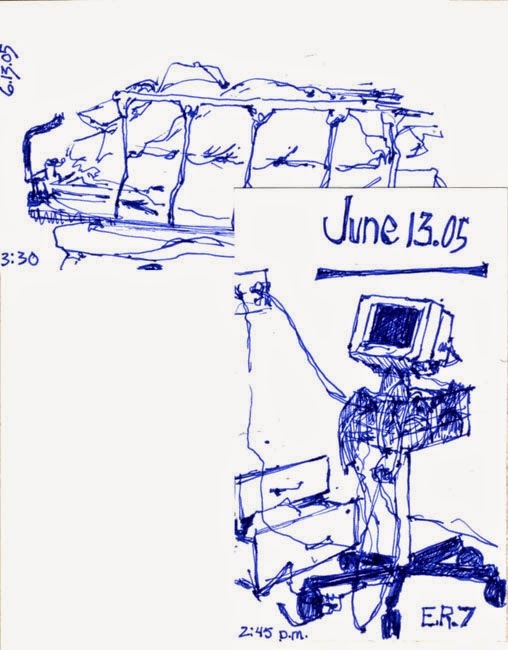 Some are themed – like Urban Sketchers or travel. Some are for convenience or size, a small one in the glove compartment of my car, a tiny one that fits in an evening bag, one near the TV and the best of all my daily workhorse that is also part journal, part agenda. That’s the one that is in my bag, on my desk and beside my bed. If a fancy new sketchbook can be “too precious” the first page in any sketchbook can be intimidating. 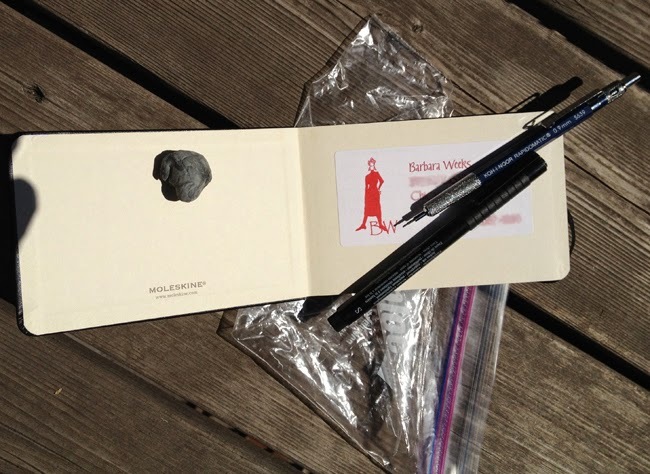 Glue stuff in it – business cards, ephemera, travel info, maps, napkin drawings, random scribbled ideas and thoughts etc. There is a remarkable community of artists all over the world who connect by sharing their work online. 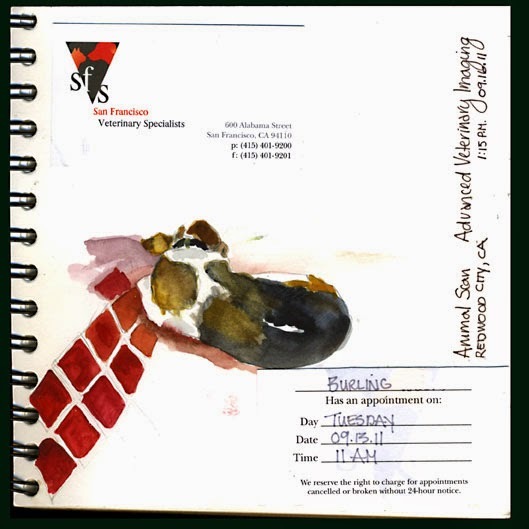 They make hospitable and willing companions to sketch with wherever you may find yourself. They’re only FaceBook post away. 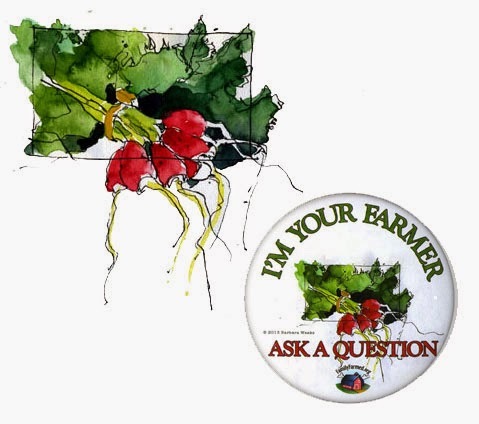 Sharing your sketches whether it’s Twitter, FB, Pinterest, or wherever, is also a great motivator and you’ll find inspiration in the work of others. The sketchbook habit develops our drawing skills and cultivates that spontaneous work on location that is urban sketching. By keeping a sketchbook and acquiring the sketching habit, urban sketching isn’t something we do but it becomes part of who we are – Urban Sketchers. Enlightening, insightful, useful, familiar, and all in all darned good advice. Thank you Barbara. I have printed this out so that I can paste it into my first three pages of my new sketchbook. Problem solved. Oh, Barbara--such wonderful tips. Thank you. Thank you, Lynn! I'm glad you found them helpful. It was a good review for me, too. Excellent, inspiring post! 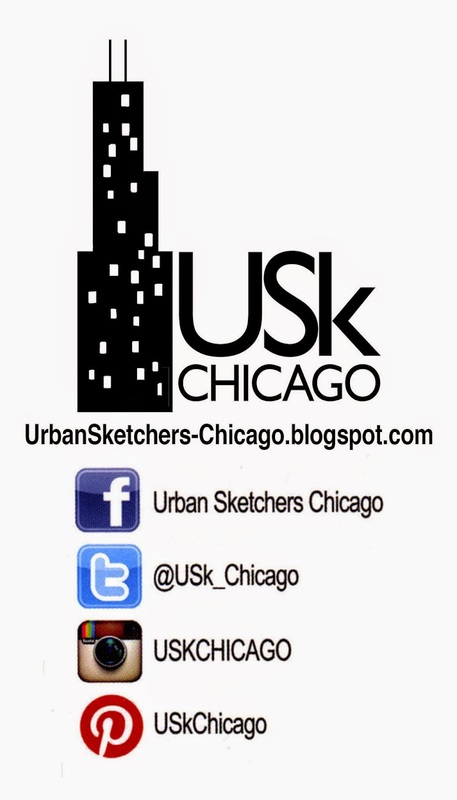 I really appreciate USk Chicago's how-to posts! Thank you. I'm so glad you're finding our tips and tricks helpful. 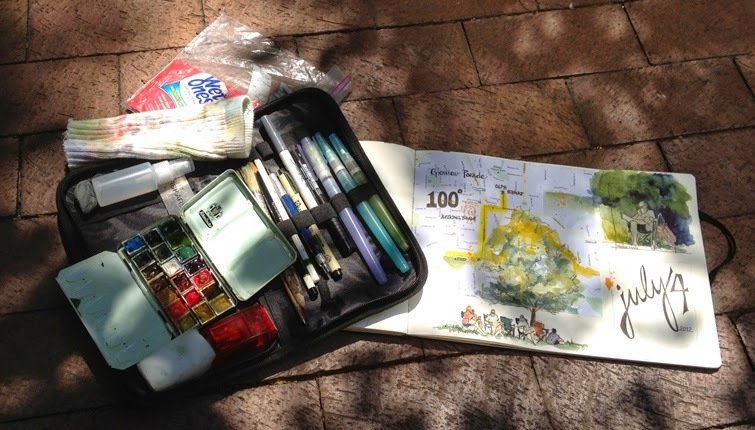 As you say,"urban sketching isn't a hobby, it's a lifestyle." Barbara, Thank you for this inspiring post! The ER sketching was something I related to. All very useful tips. Thanks again. I'm glad you enjoyed it, Lisa. Here's to an artful 2015! I love the idea of keeping multiple books stashed in different locations—especially my glovebox! Thanks for the tip.